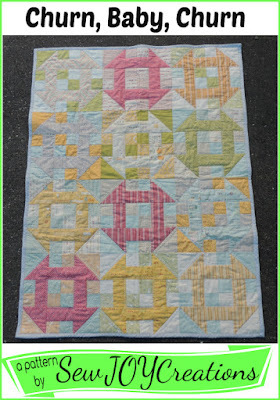 I'm making a baby quilt for my son's teacher with my Churn, Baby, Churn baby quilt pattern. 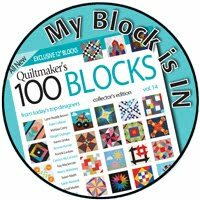 This is my first quilt along post for the project - and you're invited to join me! 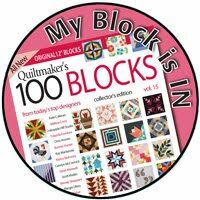 The pattern uses a 10 inch squares pack - or layer cake - to make the churn dashes and backgrounds - no other fabric yardage needed for the front! 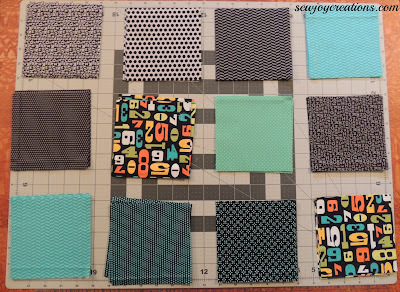 I get discouraged by patterns that are designed to use with precuts but then need me to add yardage. So this was a personal design challenge and I like the results. 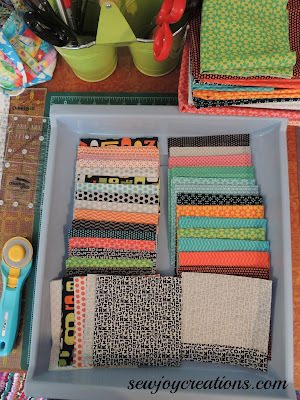 The scrappy effect of using two different fabrics behind each churn dash leaves lots of potential for playing with the colours in a fabric line. 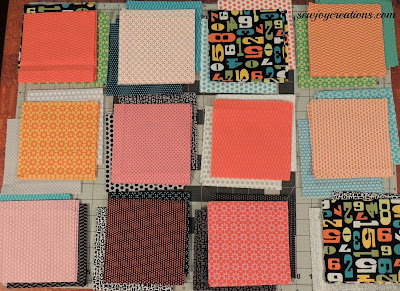 Because the pattern is written for 10 inch squares - and then cutting those squares into 5 inch squares - I decided to cut my fabrics so my making would look like what you would make if you followed the pattern. Of course, you could also cut up a fat quarter bundle like I did to make this quilt. 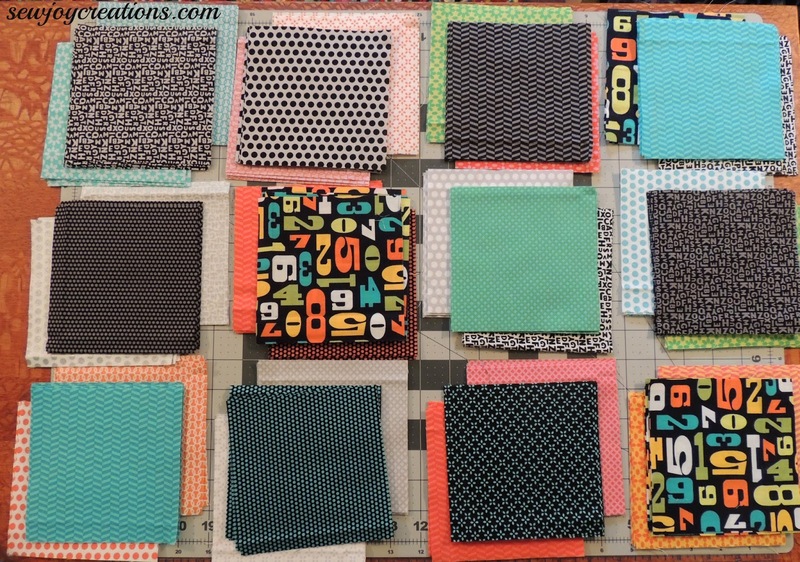 Now the fun part: deciding which fabrics will be the churn dashes! 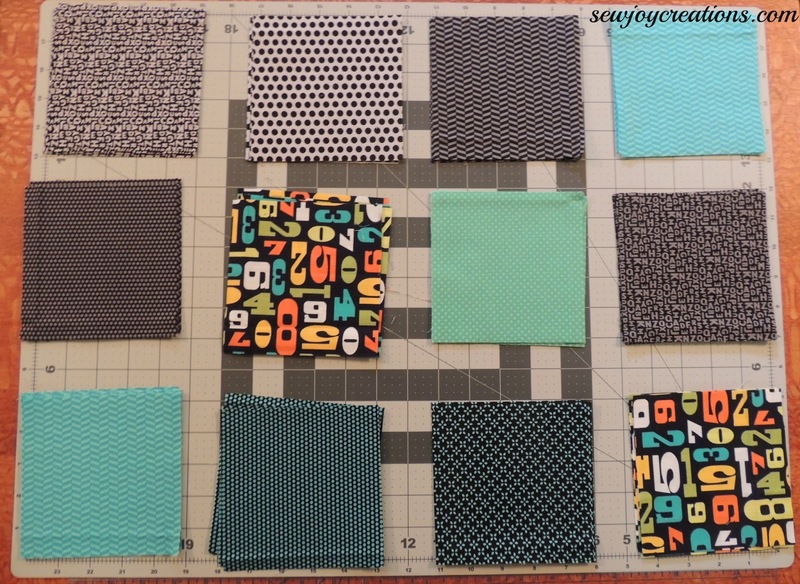 From my Uppercase fabrics I chose 12 different ones that read as light. They're not in any particular order here - meaning I might move them around in the quilt - but these would be my choices if I was making 12 light churn dashes. Here are the 12 light churn dash fabrics paired with two background fabrics each. 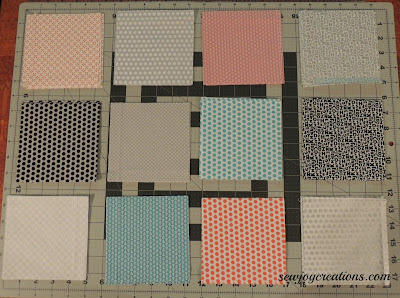 I would chose light churn dashes if I was hanging this quilt - it gives a more subtle look to the quilt and would be easy on the eyes for a long period of time. Here are my choices for twelve dark churn dashes. 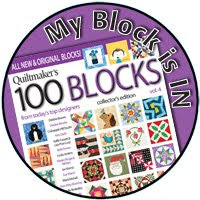 The number fabric is not part of the Uppercase line - but definitely inspired me to make this quilt for my son's teacher. 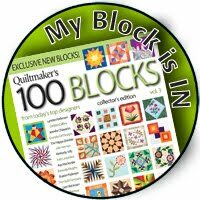 She has done a great job nurturing his love of mathematics and I think this is a fun way to say thank you. 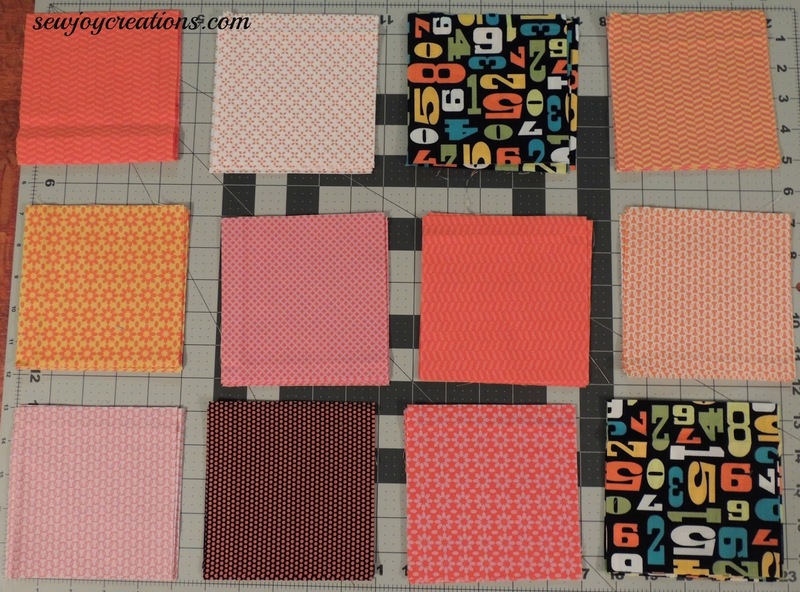 Here are my quick choices for backgrounds for the dark churns. I think this one would be very graphic and visually striking. I think the dark churn dashes would almost vibrate against some of these background pair choices I made! See? Again it's a very dynamic, graphic effect. This one might feel busier than the dark churn dash one because of the bright fabrics vying for your eye on top of the backgrounds that are a mix of light, dark, and bright. Definitely a fun mix! 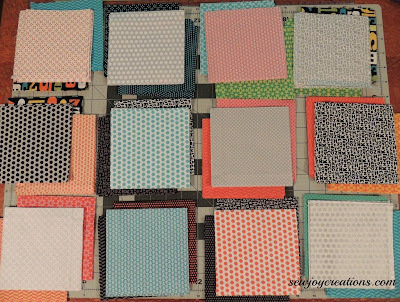 Remember, fabrics make a quilt, but your fabric choices make it YOUR quilt! 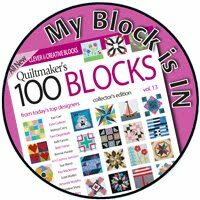 If you're quilting along - yay! 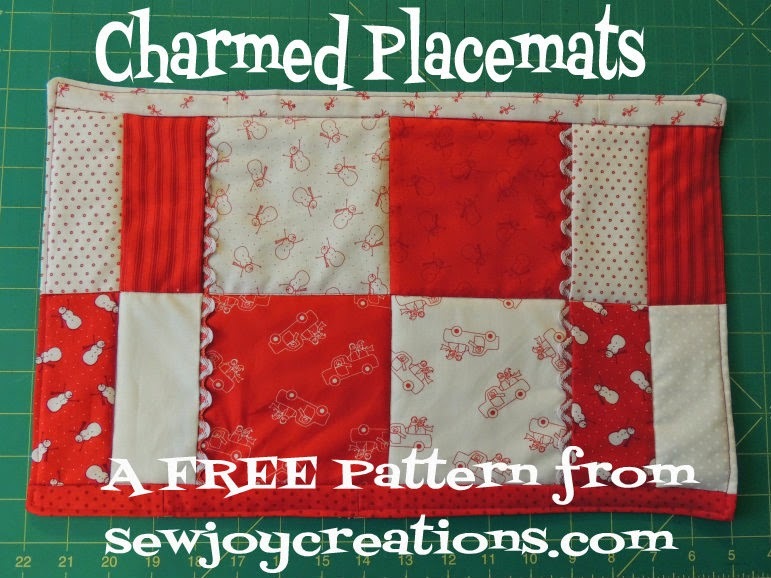 - take some time to play with your fabric and decide on which ones will be the churn dashes, then the backgrounds. 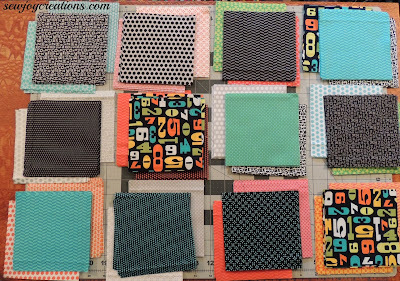 In the next quilt along post I'll show you what I actually chose for my churn dash fabrics. You can read in to that and know that I don't have any churns made yet. 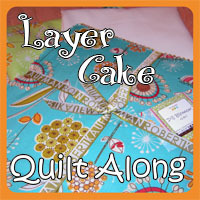 But that's okay - I love this part at the beginning of making a quilt. probably my favourite part of the process. 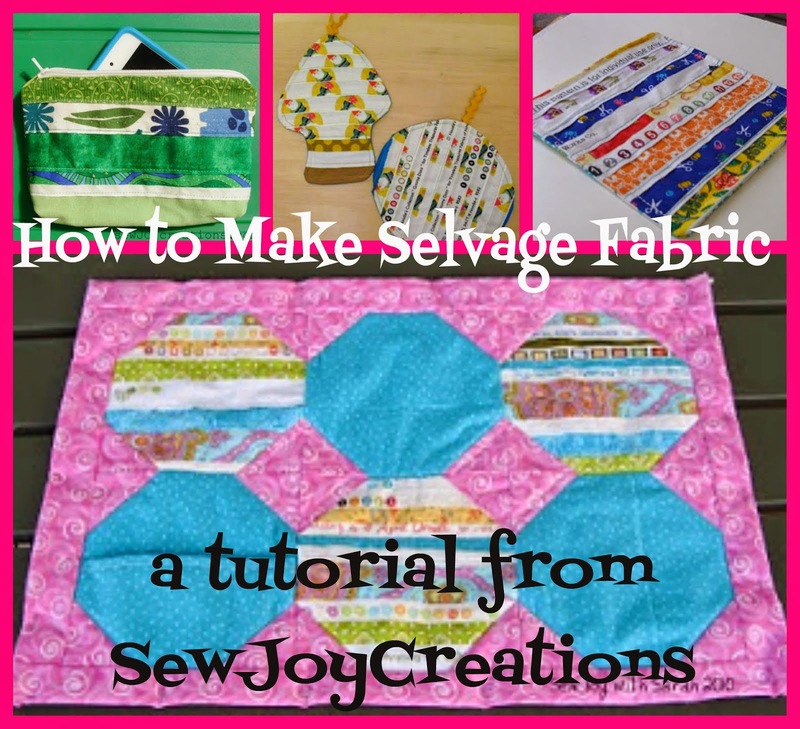 My next favourite part is seeing the fabric choices coming together in the right pattern!